We appreciate that for us to stay relevant and successful in a globally competitive environment we must add value to our customers over and above simple production and injection moulding. The GS Group has a strong capacity in engineering and product design, tooling, material selection and project management. We also have a strong understanding of downstream assembly and the need for clients to achieve a reduction to their overall product cost. Our successes over the years have demonstrated that we have achieved much greater cost savings for our clients by looking beyond the individual product unit cost and designing the product, selecting the material and designing and making the tooling for efficiency, ease of downstream assembly and product longevity in operation. We have achieved these results for our clients by targeted research in material advances like biodegradable plastics and nanotechnology, tool design, machining and automated assembly. 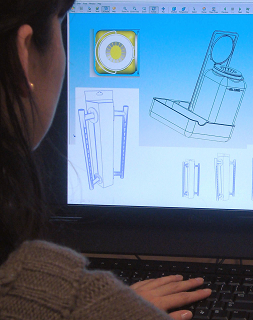 Product design, refinements and specific trialling ensure the product is fit for purpose. Our wealth of moulding knowledge, access to experts and leading edge technology, and strong engineering disciplines, combined with our understanding of our clients’ commercial imperatives and our ability to work with them in a supportive role results in better products, lower costs and a greater profit for our clients. Over the years we have helped many clients develop and refine their products, research options, test and trial samples and have assisted with many leading edge product launches.